I happen to work for a barbeque restaurant. I prompted everyone to find a creative way to use one of our products, a Carolina-style mustard-based BBQ sauce, in a recipe. Tomorrow is judgment day, and we’ll all be competing for a cash prize and bragging rights in the office. I’ve postponed this competition once, and it was only until today at 4:30p that I actually started thinking about what I’d be making. So I’ve settled on a barbeque classic: deviled eggs. In my family, it’s not a get-together without them. This barbeque sauce lends itself to the recipe because it’s replacing main ingredients vinegar, mustard, and salt. Some people add sugar, and BBQ sauce would cover that as well. There are some other changes that will make this egg unique to me. 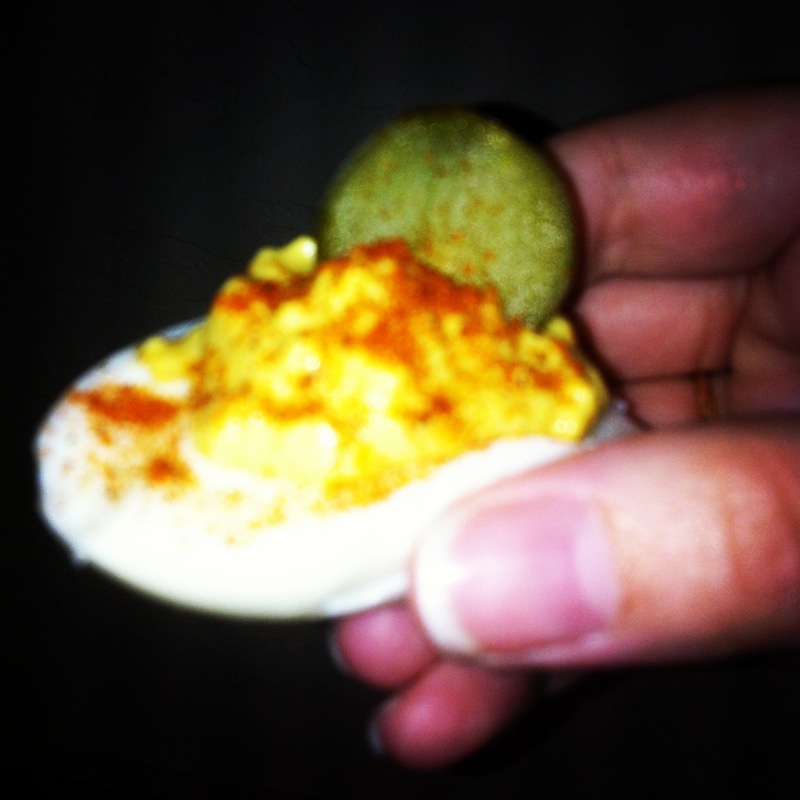 My mom has always put pickle relish in her deviled eggs. I’m going for a slice of dill pickle nestled in the filling on top, like a garnish that actually serves a purpose. I also always see paprika, and while there’s nothing wrong with it paprika doesn’t do much for flavor. The egg whites are bland, and when you take a bite of a deviled egg you want to see color and texture and get some flavors going. A good BBQ rub will have sweet, smoky, spicy and salty covered and it will look great against the blank canvas. Try these out at your next family get-together, or at a pot luck with friends. Though humble and seen as out-dated, there are definitely ways you can modernize this Southern classic. 1. Slice each egg lengthwise. 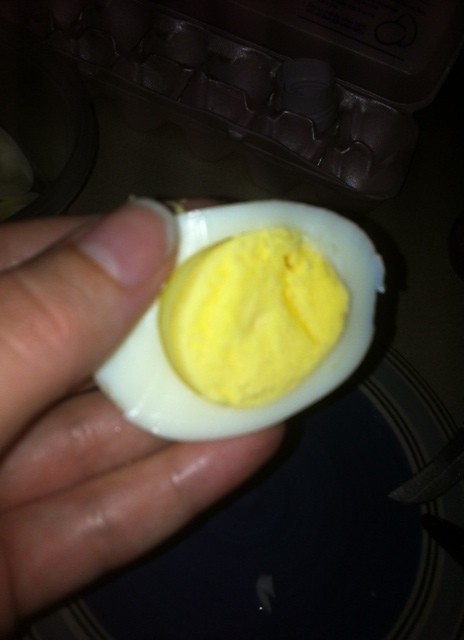 Gently squeeze the sides until the yolk loosens, or take a small spoon and finagle it out. Reserve all yolks in a mixing bowl. Set your empty whites on your serving tray (if you are so fancy). Squeeze the whites gently to loosen up the yolk. 2. 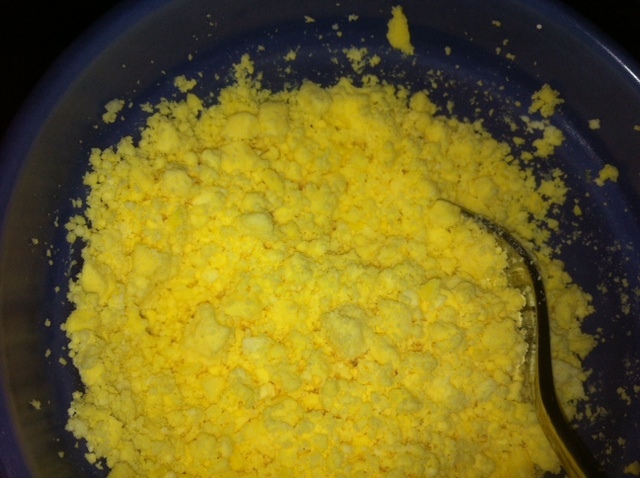 Take a fork and break up all of the yolks until they resemble corn meal. Try to get as many lumps out as possible. 3. Add the mayo and BBQ sauce, and thoroughly mix it. Keep trying to work out any lumps you may have. 4. Taste test! Does your mixture need salt, or did your BBQ sauce have enough? Mine didn’t, so I added about a teaspoon of salt. Don’t forget that you’re dolloping this onto bland egg whites, so if you prefer a spicier mixture feel free to add some of your favorite hot sauce. 6. Take your dill pickle and slice thin slices, enough for each egg to get a little garnish. 7. Sprinkle all of the eggs with your BBQ spice rub.